If you want to meet new people, enjoy the sunshine, and be a part of something historic is San Francisco now is your chance! 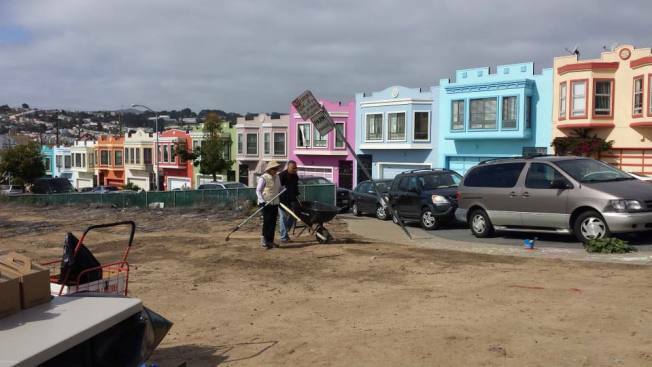 Join the Green Initiative for Asian Families (GIAF) to help finish phase one of the first Asian community garden organized by the Asian community in San Francisco. Create a green space that will help new immigrants live healthy lifestyles, grow and share fresh produce. The green space will have features to be enjoyed by people of all backgrounds. Help is needed to finish mulching the one acre site. After the mulching is complete, the building phase will begin. This means planter boxes will be available and plants can begin to grow. You must be physically able to do light garden work including bending, stretching, and light lifting in an outdoor setting. Any training will be done by appropriate staff and will be specific to your assigned work area. Light food and refreshment will be available. For more information or to register, click here . Or call (415) 373-0896.